Turn the disc to reveal the stars visible from your location on any night of the year. The 51.5N and 35S editions of this practical hour-by-hour tracker come with their own full-colour season-by-season guide to exploring the skies. Major constellations are used as signposts to navigate the night sky, introducing the novice astronomer to the joys of stargazing. The wallet also contains illustrated step-by-step instructions on how to use the planisphere. 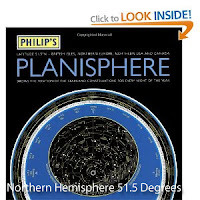 "The Planisphere is a really useful bit of kit... You effectively have a map of every night sky constellation." The planetary tables included are for 2010 to 2020 inclusive. After reading all the positive feedback I went for this product as I am just starting out on my new passion for astronomy. I have been out several times now and have rediscovered some of the things my father showed me as a child in our back garden as well as discovering so many new things. The instructions are easy to understand and once you get the hang of dialling in the date and time it gives a fascinating glimpse into the worlds beyond our own. It does have it's drawbacks though, hence I gave it only the 4 Stars (Ha! Ha! no pun intended). It is a little awkward holding it over your head, neck/arm ache etc. but I have found a combination of holding it up and getting your bearings then placing it down to look again works well. As long as you remember where the compass points are when you bring it the other way up. Actually taking a compass with you is a good idea and I have made good use of an inexpensive map readers compass. You really do need to have some light to read it by and of course white light from an ordinary torch will ruin your eyes adjustment to the dark ("Dark Adoption") which takes around 30mins to be properly effective. You really need a "red" light source as this does not compromise the dark adoption as much. Of course hand held torches also restrict the number of things you can hold properly too unless you want to try holding one in you mouth (as I did on my first night out) and find yourself dribbling and drooling as you crane you neck, hold your Planisphere up and aim the beam so you can read it. I found a really good head torch for less than £10 which switches from 2 white LED's to 1 red LED and have been very pleased with it. Some star guides do have "Glow In The Dark" patterns for the constellations, I have a set of guide cards that do, but you need a white light source to "feed" them and they fade quite quickly too. Just like your alarm clock face after you switch the light out. I think "Glow In The Dark" would actually spoil this product. To sum up then. This is a truly excellent guide to anyone starting out in astronomy. 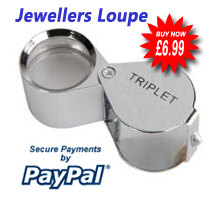 It is easy to use and has a wealth of information that will keep you going out on many a clear night. I am looking forward to finding my way round the Autumn and Winter sky now. You really don't need any optical instruments to see numerous celestial objects but it helps to get out of the city if you can. Light pollution! Grrrrr! I recommend this highly. PLEASE NOTE that this product is not made of card but is of substantial flexible plastic that wipes dry very easily.